This 1 bedroom 1 bathroom condo unit on the 3rd floor with a living area of 72 Sqm. 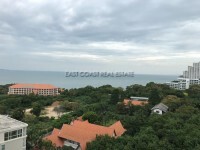 The condo comes fully furnished, fully air conditioned, a built in wardrobe, Open plan lounge and TV area to dining space, 2 good size balconies and kitchen with cooking hob and extractor hood. Facilities of the building: 24h security guards, key card access, CCTV, an air conditioned lobby area, garden with communal lap pool, a roof top pool, fitness room, underground parking for motorcycles and cars, cleaning service, Cable TV and WIFI connection. The unit is held in foreign name ownership, and all taxes and transfer fees are to be split equally 50/50.